This weekend, winter decided to move in. On Saturday, the temperature dropped several degrees, and the snow began to fall just before noon. And Saturday was the day I chose to sort through my Christmas ornaments to decide what I would keep and what I would give away. After all, some of the ornaments in my collection have been kicking around since I was just out of college. And even earlier. Nowadays, I tend not to burden my tree with an overabundance of ornaments like I did when the kids were younger. Mostly because I like it simple—lights and a few sparkly ornaments to reflect the light back into the room. But there is also the fact that my teenagers are excited about decorating the tree, but not so excited about taking it down after Christmas. So I sat on the couch and opened the large, green plastic tote, removed the first cardboard box, and began to unwrap small tissue paper balls to rediscover what was inside. 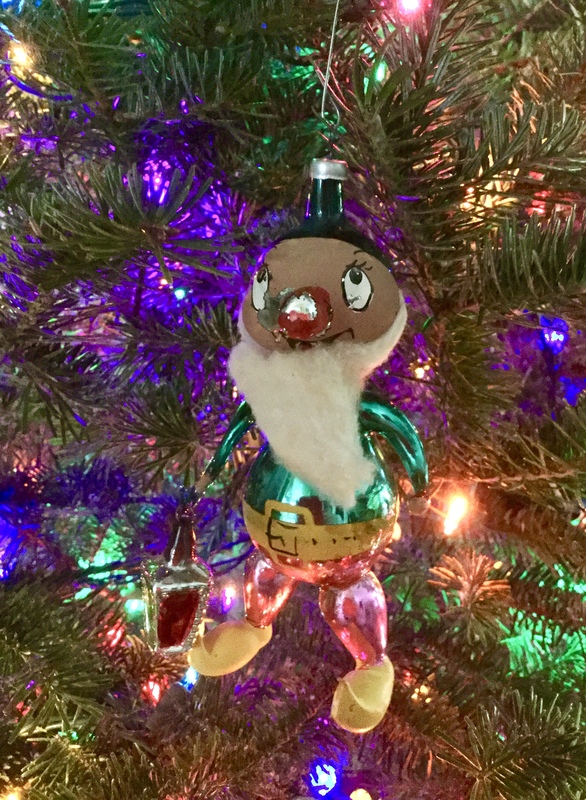 Plastic animals dressed in Santa hats with wreaths, hand-painted cinnamon sticks and wooden disks picked up at a long forgotten craft fair, needlepoint plastic canvas squares… these were the items that found themselves in the ever-growing “give away” pile. As I sorted, I came upon a yellowed box that said, “Mom’s dwarfs” in the handwriting of … I’m not really sure … one of my aunts, maybe? And in pencil, in a similar handwriting, it said, “For Suzanne from Nana.” More recently written were a number of notes in Dad’s handwriting: instructions about being careful, about the fact that there were extra parts wrapped up by themselves, about the things that Dad would typically warn me about as he removed these very fragile items from their carefully crafted tissue paper cocoons. And now, I pulled one out of the box and placed it in my lap. I unrolled the tissue, getting closer and closer to the treasure it held. The weight of the ornament was less than one might expect, making it easy to fumble or accidentally drop it. But it was cradled securely in my lap. Finally, I was rewarded for my care when I spied the first glint of pointy shoes, a leg, and then a jolly face, its paint cracked and peeling from years of use. 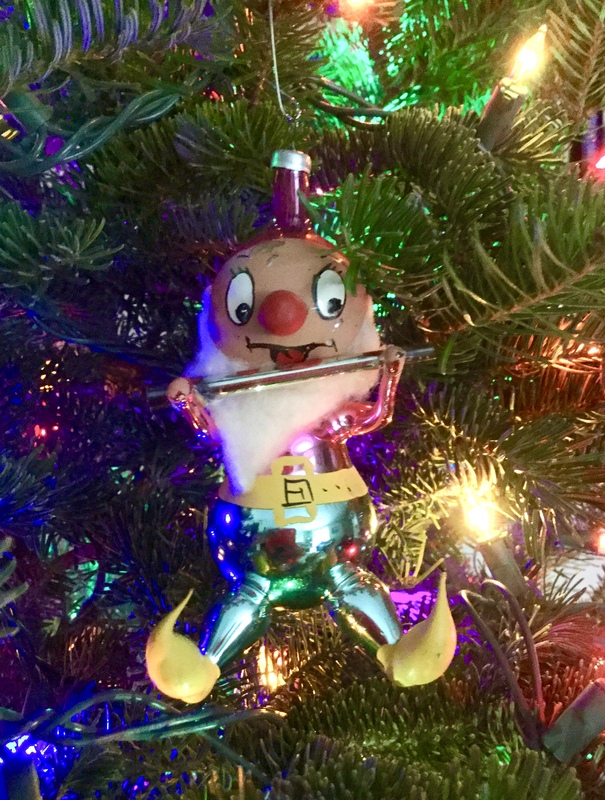 My breath caught in my throat as I could feel Dad’s large hand carefully placing the “dwarf” ornament in my own then small hand. Each year, without fail, before he let go, he would ask, “Got it?” double-checking that this delicate figure was secure and would not fall to the floor where it might meet its demise. The fact that these old ornaments had seen better days did not make them any les s precious. The memories they evoked were worth the extra care needed. Of course, now that I have carefully unwrapped these very fragile ornaments on my own, I believe they are less fragile than all the past fuss would indicate. No matter. I still took great care as I hung them on the branches of my tree. My one question that will never be answered: why, with elves all around at this time of year, did these ornaments end up being labeled “dwarves” rather than “elves” that might be more fitting for the Christmas season? I suppose I’ll never know. I will be left to devise my own theory. The tradition of making New Year’s resolutions is almost as interesting as the tradition of breaking them a few weeks down the road. Somehow, we think that just because the calendar turns to a new month that ends in a new number, we should somehow change. We believe if we make significant changes in our behavior that our lives and our year will be different and better. On New Years Day, we take on the challenge to change our lives all at once. We decide to lose weight, to work out, to eat healthier, and to live happier by reaching out to the less fortunate and changing our attitude. Really? And we wonder why we give up a week (or two… or four…) in. Life change is an on-going process. It’s called growth, and growth is something that is constant and continuing until the day we die, regardless of our contribution to the process. While we have the option to make choices to help steer our growth in a positive direction, it is never advisable to make changes in all aspects of life at once. Unless we want to fail. If one truly wants to lose weight or get in shape or be more altruistic, one would do so regardless of whether the calendar changed. In 2014, my greatest growth came not from changes I made, but from my choice to grow from the situations in which I found myself. Through these situations, I experienced one of the most important epiphanies of my life as a single parent, and consequently, I was able to release one of the long-standing stresses I have had. This growth is not something I could have predicted on January 1st, but will change my approach to similar situations in the future. My resolution for 2015 is one that was originally made 17 years ago, and is one that I am still working on. Before my son was born, I resolved to be the best mom I could be, and I am forever working on this resolution as I define and redefine what it means to be “the best mom I can be.” My definition is different for teenagers than it was for toddlers, and what they need from me also transforms and evolves. 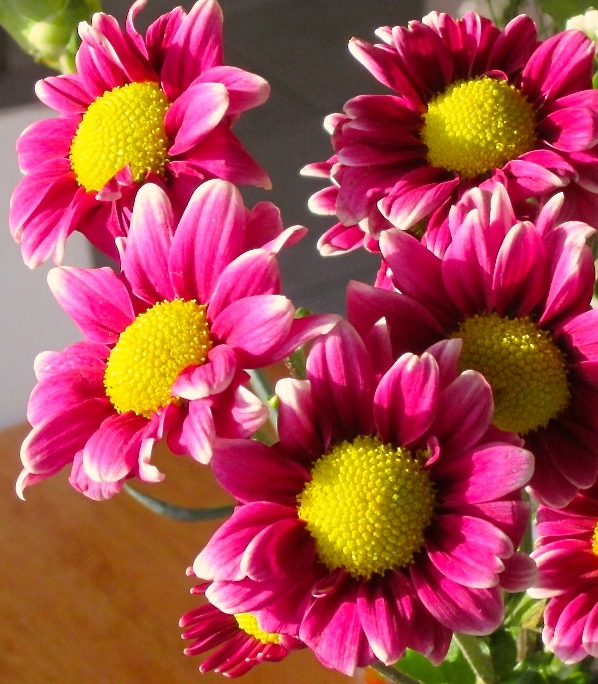 My life as a single mom poses challenges that are neither constant nor predictable. But by striving to be the best that I can be in the situations that arise, I am making a promise—to myself and to my children—that I will be a presence that they can rely on and a role model that they might choose to follow. And so I continue to work toward my goal on my journey as a parent. But I know I must do so one day at a time. January 1 represents a new day, 24 hours in which I can work on my goal to be the best I can be. Christmas is over, but my reflection on Christmas is not. This year, I have been drawn to a particular song and the story it tells; the song, “A strange way to save the world” by the group 4-Him, is told from the point of view of Joseph as he finds himself in the unlikely position of being in the stable in Bethlehem, staring into the face of Jesus. He wonders how he ended up here, and why God is using a mere baby to save the world. We don’t often think about Joseph when we think about the Christmas story. He was not directly involved in the miracle of Christmas… or was he? He certainly had an opportunity to say no. He could have told Mary that because she was pregnant, he was no longer interested. Or he might have said he didn’t particularly want to raise someone else’s child, Son of God or not. He could have walked away and been free of the responsibility that God was asking him to take on. First, he accepted that the child Mary was carrying was the Son of God, acceptance that was a miracle in itself (though the angels may have helped to sway him). Second, he agreed to raise this child as his own, to provide for the boy to the best of his ability. Third, he accepted the challenges that would arise in raising the Son of God. (“Jesus, you have got to stop walking on the lake! Bobby nearly drown yesterday because he can’t swim. His parents are furious…!”) Most importantly, he accepted that he would take a backseat to the child and to Mary, who figured prominently in our historical accounts of Jesus’s life. Joseph was a behind-the-scenes figure in this story. When God said, “Joseph, will you…,” Joseph stepped up. And then he stepped into the background. The shepherds came and went. The Wise Men brought gifts and disappeared. Joseph remained constant, but we hear little about him. No doubt, this situation was not what Joseph was expecting for his life. He was expecting to get married to the woman he loved. 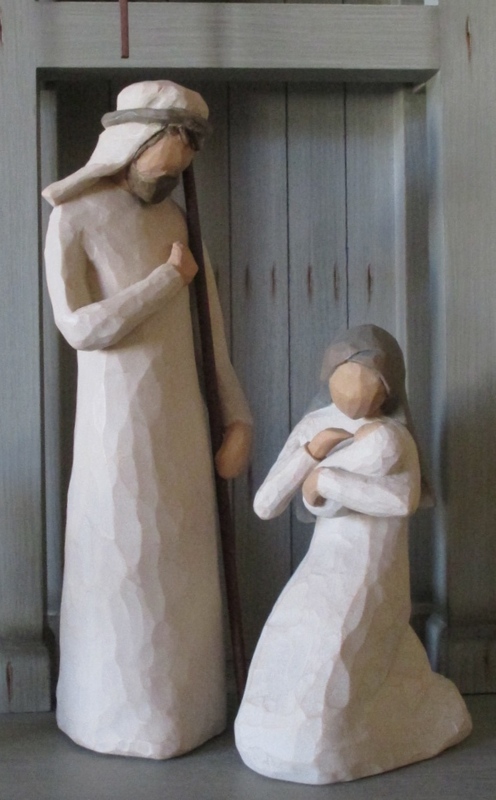 He was expecting to lead a quiet life with no fanfare and little drama; yet suddenly, he found himself with the heavy burden of supporting a child, raising the Son of God. What faith he demonstrated in accepting this challenge! As we move through life, we should strive to be more like Joseph. We should strive to have the faith to accept the challenges that God throws our way. Joseph did not say, “I’m sorry, that doesn’t fit into my plan.” He didn’t reject the inconvenience of having a bride and a baby that wasn’t his. He realized that since God had chosen him, God would provide the tools to help him complete the job. He accepted God’s plan with all of its uncertainties and inconveniences, and he stepped out of the way to let God work through him. 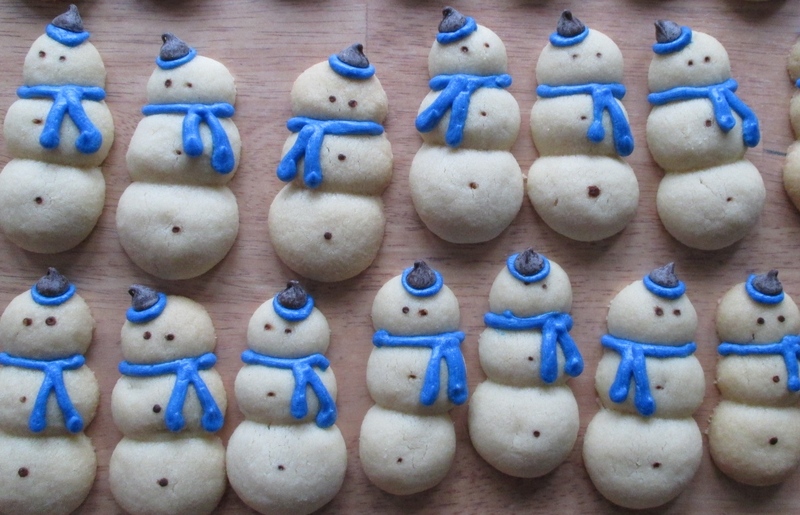 Each year at this time, an army of snowman cookies arrives at my house. Uh, wait… let me start over. Each year at this time, through a great deal of effort on my part, an army of snowmen arrives at my house. This year, I tried to gain support for the cause. On Sunday morning, I looked at W sitting on the couch surfing the Internet on the iPad. “Hey W,” I watched him intently. He looked up. “Do you like to make little balls out of clay?” I asked with a tone that implied I had something exciting in store for him. He looked at me with a raised eyebrow before he sighed with a hint of disgust. “Do you want help with your snowmen?” Yep, he was on to me. Every year, I try the same tactic. “Not really,” he replied as he returned to the iPad. I went to the kitchen, hauled out the bowl full of dough, and began to roll it into balls. Tiny balls. Actually, three different sizes per snowman. These cookies are labor intensive, but they are the local favorite—in my house, in my neighborhood, and among my family. The fact that they have been a favorite is why I have continued to make them. Every year. For seventeen years. It wasn’t long before I had an army of little snowmen on my kitchen table. And taste-testers hovering. My daughter had her first bite. “I think we should keep them all this year. We give away too many.” This thought was one that would never fly with my neighbor who believes I make these cookies specifically for her and then withhold all but a small number. I turned to Facebook with this thought. To my neighbor I posted, “My taste-tester just tried a snowman and says we need to keep them all this year.” The reply: a resounding “NO!” and the annual “war of the snowmen” had begun. At least daily, I receive a text, Facebook message, phone call, or an in-person assault. “Where are my snowmen? !” And daily, I have to deliver the difficult news that they are still naked, they have to stick together for their “army” training, or they have not yet said good-bye to their friends. (Really, I’m stalling while I make other cookies to “fluff up” the plate). Soon, my neighbor on the other side adds her two cents in anticipation of receipt of her yummy snowmen. These little snowmen have evolved over the years. Initially, they were simply a part of my cookie tradition. But through the annual battle, these cookies have taken on a life of their own. They add extra fun to the holidays in my neighborhood, and they bring us together each year. I imagine I will continue to make them for another seventeen years. And I wonder how the tradition will evolve from here.